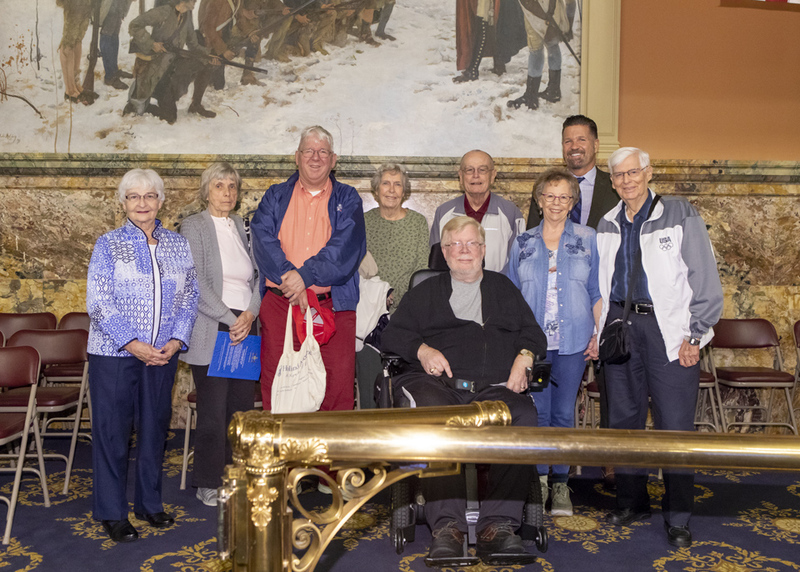 On Monday, I had the pleasure of welcoming constituents to the Capitol from Bethany Village in Mechanicsburg. This week, two bills that I am the prime sponsor of saw action by House committees on Tuesday and now await action by the full House. Senate Bill 6, a comprehensive public welfare reform effort termed the Public Assistance Integrity Act (PAIA), was reported out of the House Health Committee. The legislation is a compilation of proposals and recommendations that have been raised in recent years to bring accountability to Pennsylvania’s public assistance program. Senate Bill 652, establishes penalties for entering critical infrastructure facilities with the intent to do damage. As amended by the House Environmental Resources and Energy Committee, the bill also defines and establishes penalties for the act of critical infrastructure vandalism. As part of its continuing efforts to protect Pennsylvania students, the Senate approved bills this week to establish mental health screening programs, allow for cameras on school bus stop arms, and require CPR training in schools. Senate Bill 1181 is a bill that has been a topic of conversation as we continue to work to address school safety issues. I am a co-sponsor of this legislation, sponsored by Senator Guy Reschenthaler, which requires depression screenings for students at the time of their required physical exams in 6th and 11th grades. Currently, there are mandatory physical health and dental exams, as well as vision and hearing screenings for students, but there is no required mental health examination. Additionally, statistics regarding our youth and mental illness speak to the need to incorporate such screenings into current requirements. Senate Bill 1098 would allow for the placement of cameras on school buses to capture motorists who pass when red signals are flashing to remove the current burden of school bus operators to report violations. The Senate Veterans Affairs and Emergency Preparedness Committee held a joint hearing on Wednesday with the Senate Appropriations Subcommittee on Health & Human Services. The Committees heard testimony on our State Veterans Homes and the LIFE (Living Independently for the Elderly) Program. Click here to watch a video from the hearing. House Bill 1013 requires managed care plans to pay all reasonably necessary costs associated with the provision of emergency services even if the covered individual does not require transport or refuses to be transported. House Bills 1887, 1888, and 1889 amend, respectively, the First Class Township Code, the Borough Code & Third Class City Code, and Act 34 of 1953, which relates to Incorporated Towns to raise the threshold for having to advertise the sale of municipal-owned personal property. The current threshold is a fair market value of less than $1000, and these bills would raise that figure to $2000. The Senate reconvenes on Monday, October 1st at 1pm. You can tune in to watch session live. For a full list of Senate Committee meetings for the week, click here.